Search Engine Optimization is evolving constantly at the lighting speed. 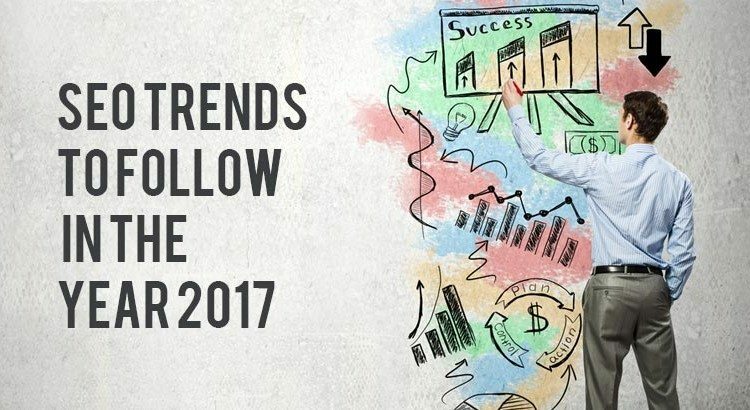 As we are moving near to 2016’s end, the new trends and speculations for 2017 have already started brewing and it’s the time, when we start talking about it, either. In the last one year, there have been many significant developments like Penguin 4.0 algorithm update that keep business on their toes and will keep doing the following year. Gone are the days, when keywords optimization content was everything to gain better ranking in the search engines. Google worked hard on its algorithms and the result is, it can identify user intent and show results according to it. Moreover, users have become clever and are entering full queries in Google’s search bar to get the best results. In 2017, brands that will place importance on user intent content and less on keywords optimization will get fair advantage over those that won’t. But the question is how to find ideas to write the relevant content for your users? This step needs time and the right mindset. You have to find the real things that bring users’ to your site. Observe yourself and notice what takes you to other websites’ when you need information. What solution they are providing and in which way they are doing this? We all have some favorite websites that answer our questions. Observe your users in a similar way. Now you have found useful data that pinpoints the areas, which need some work. Start optimizing those areas to boost ranking. Alter your content and influence your readers with your story based content. It will reflect your supremacy and users’ will follow you for offering better reading experience. Best thing of writing digitally is that you can adjust without waiting for days or weeks to understand the true response of your readers’ With Google Analytics and other tools, it’s very easy to understand what‘s working and what not to adjust your future strategy for the best outcome possible. Since Google has become the internet king, it’s hard to imagine the web without it. Most of us heavily depend on Google to look for the relevant information. It presents 10 links on each page as per the relevancy of the content. Along with the website links in Google display results, videos, movie or event information, reviews or specific dates etc. are also shown to enhance user experience. Schema markup (Structured Data Markup) allows website owners to display those things in their SEPRs results. Moreover, it helps Google to display best results based on different snippets that are helpful for users. Imagine yourself running a bakery shop in Toronto. You feel the need to have an eCommerce website to expand your business in GTA (Greater Toronto Area), but you have no idea where to look for. You go to Google and put a query in the search bar and the following websites open on Google’s first page with rich snippets. It shows their ranking in SEPRs for you to consider and to notice the other customers’ experience with the other companies. Ideally, Google page one ranking is enough to tell you that those listed companies are best in their domain, but with rich snippets, you get to choose the one that seems best from your POV (point of view). Hence, having Schema markup on your website can have your chances increased in SEPRs. So do yourself a favor and use it on your website to enhance user experience with all the useful information that constructs your better image in the eyes of potential customers. 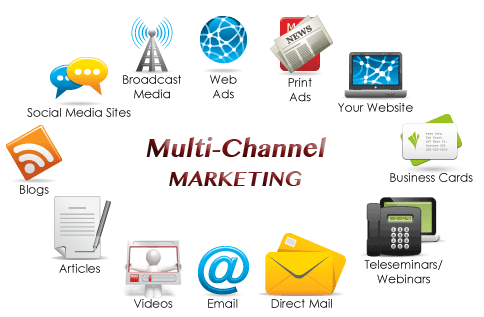 Many marketers and non-marketers confuse cross-marketing with multi-channel marketing. They both sound similar, but actually, there’s a huge difference between both the terms. It simply means to establish your presence on more than one platform. For instance; you should make Facebook, Twitter, Instagram, Pinterest, Tumblr account for your business. For business POV it’s important to make your presence on various social media platform, and eventually, work on those to grow your user base. It creates your image and gives your strong backlinks in regards to SEO importance. Nowadays, users keep hoping from place to another until the final payment is done during shopping. Suppose, a user surf a product XYZ portal on his laptop and adds the product to the cart, but eventually, shuts down the laptop before making the final payment. Now you can send users’ targeted ads through emails or social media, to influence him to complete the transaction. He can do it on his mobile, or tablet even, as the product is already in the cart. Cross-channel marketing is known as one of the best ways to integrate your brand and target your users’ continuously until the final payment is done. In layman’s term, it’s the technique to consistently build brand’s image across various channels by targeting the users’. In a cross-channel marketing report, more than 73% of people have claimed to have increased conversions by using the technique and will keep on doing in 2017. Mobiles are increasingly becoming the primary device for many people to surf the web. Hence, the importance has grown significantly for the marketers to optimize the content for mobile users and generate ads, especially to target mobiles users for increased conversions. Google already told that mobile searches have surpassed desktop searches on its search engine and this trend will grow, as more and more people from remote areas will connect to the web. Many countries are trying to be cashless, which makes mobiles vital in the digital era. Moreover, people spend more time looking at their mobile screens than at person’s face – and that gives marketers a strong reason to build their strategic empire around the mobile optimization. Many tech companies are investing heavily in better implementation and working on ideas around ‘voice search’ feature. Android and iOS have voice searches, but sometimes, they fail to understand person’s accent and show unwanted results. It’s fast and futuristic options have already become the fastest search option in the market. Keywords search in spoken queries.